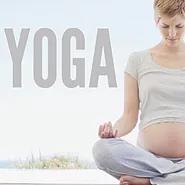 Join us for prenatal yoga at the Dr. For Moms Studio Space. For expectant mothers at any stage of pregnancy up to delivery. For new moms and slow moving babies (up to crawling stage.) 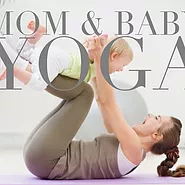 Stretch, tone and relax in a supportive setting with baby at your side. 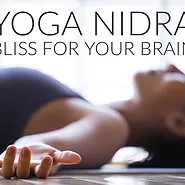 Why do Yoga Nidra? -It is a sleep based meditation technique -Yoga=awake/aware Nidra=sleep -Yoga Nidra awakens the infinite potential that's dormant in you. Moms & moms-to-be are welcome as we pair the breath with slow yogic movement to release mental, physiological & emotional tension. Stretching, core strength and postural education This will be a workshop for kids 6+ to attend with/ without their parents (depending on age) to come and learn about stretching and core strength and how to incorporate different techniques into their daily lives. 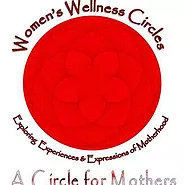 Join our sisterhood of Moms & Moms to-be for our newest workshop; Meditating Mama Bears. During this workshop you will learn about the scentific benefits of mindfulness & meditation and how you can incorporate them into an already busy lifestyle." Colic and Teething: Either of these conditions can keep you and your child from sleep and contentment. In this class, we will go over homeopathic remedies that are useful and helpful during teething and colic. Have you ever wondered how you can play with your baby in order to help them achieve their motor milestones? Join Dr. Gena as she goes over what to expect in the first 2 years and how you can help your baby master these skills. 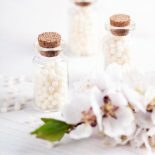 In this class, we will go over selecting homeopathic remedies that are useful during the stages of labour and delivery, including immediately post-partum. 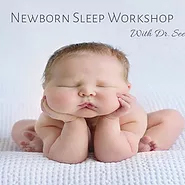 Did you know that educating new and expecting parents about infant sleep is shown to improve sleep by 6 months? 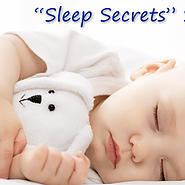 "Sleep Secrets" with Andrea Does your baby or toddler wake up multiple times per night? Are naps a battle of wills? Homeopathy for Detoxification: Do You or Your Child Need it? We will discuss sources of toxification, signs of impact and what you can do about it using Homeopathic remedies. 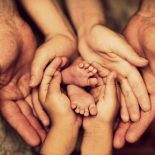 The Labour and Birth Preparation Workshops are 2.5 -3 hours of preparation, practice and discovering ways to support and love a mama during labor & birth. This is ideally suited for Mamas in their 3rd trimester accompanied by their birth support partner. Delivering a baby is a highly intuitive process that relies heavily on a clear, clean axis between the heart, mind and the body. 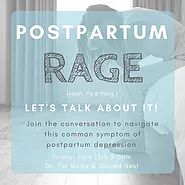 This workshop will speak to how to feel harmony with the pressures of obstetric care and the soothing, nourishing effects of acupuncture that allow the natural cascade of labour. This seminar will cover child development from birth to 6 years, focusing on how to help your child develop to their full potential by following the Montessori Philosophy at home. An in-depth look into Developmental Milestones and how to meet them by following the Sensitive Periods closely. A comprehensive look at the Sensitive Periods a child goes through in the first three years of life including Movement, Language, Toileting, Small Objects, The Senses, Grace and Courtesy, Music. 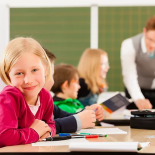 What you can expect to learn: The Montessori Approach to Obedience and Discipline. A comprehensive look at the Sensitive Periods a child goes through from ages three to six years including: Language, Order, Senses, Grace and Courtesy, Music, Writing (and Fine Motor Skills) and more. Michelle Haywood of Womankind Calgary is a woman, a mother, a dreamer. Come out and meet new mother's and babies! This is an open-style group to chat, learn and meet other mom's in a comfortable setting. In this workshop you will learn the basic concepts behind Hypopressives Low Pressure Training, and obtain enough practical experience to perform some rudimentary practice. 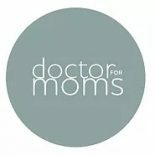 Give the gift to your loved one of a single class, multiple classes or workshops at Dr. For Moms.